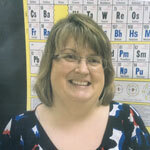 Anne Cooney provides Chemistry, Physics and Math tutoring for Ace It Test Prep students. A graduate of Ithaca College with a MS in Chemical Education from Purdue University Anne is the person you want helping you improve your understanding of Chemistry and Physics. An accomplished AP and IB teacher, Anne brings her enthusiasm for science to her students each day. She is an IB grader with an intimate understanding of the testing process and the demands it imposes on students. As a National Board Certified teacher she has developed her teaching skills to transmit her knowledge most effectively to her students. In these very challenging sciences it is important to have a true content expert with teaching skills to match. Anne is unparalleled in that degree. Anne Cooney currently offers in home tutoring for individuals and small groups in general IB and AP Chemistry and Physics as well as tutoring for most Math subjects.